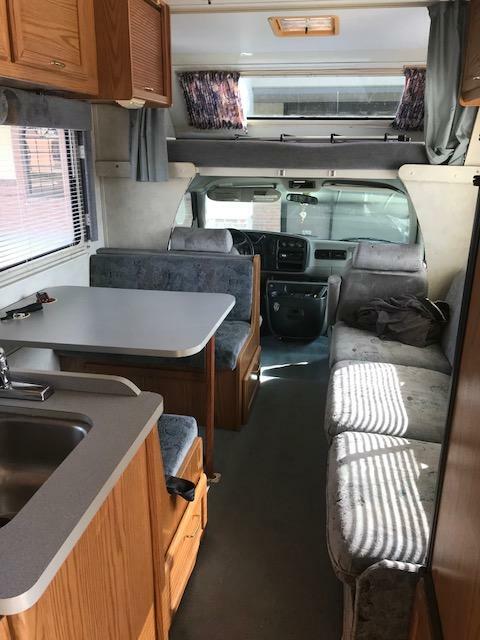 Well the flood that hit Houston damaged my motor home,it was declared a total loss by Geico,just waiting to see what their offer is going to be on it.It got about 3' of water,you can see the water line in the pictures.I want to try and buy it back from them unless what they want is too high.I'd like to bring it home and try and air it out and put some fans in it but needs to be towed and it's probably too late to do anything about it anyway.I left the state Friday before the hurricane hit,rv was flooded Monday and I didnt get back to State till following Monday,so it had already been sitting a week before I got a chance to take a look at it. I suspect Irma's going to take out a few more Toyhomes with it also,praying for those in Fla. If they try to lowball you, present copies of ads showing what these things are really worth, When I totaled mine, Geico started with a low value but came around pretty quick when I showed them what these things are really worth. 1979 Champion mfg. "Galavan". 95K origional miles. Purchased from second owner with all paperwork from day one. If it's fresh water damage it might be salvageable. Salt water tends to mess with electrical wires, connectors etc. Insurance will probably sell it back for cheap. Most salvage yards don't take motorhomes because they don't want to take up space with the coach. I'm sure Houston salvage yards are going to be full. Sorry to here about your loss. ? If the water is up to the dash it's an automatic total no questions asked even if it's a million dollar car. If there is salt water involved the problems will be never ending fresh water is bad enough electrical, mold,motors,brakes, diff and transmission issues it's bad juju. Years ago they trucked them to auctions further north with no disclosure laws you would not believe how nasty these things were wet sand rotting the bottom of the doors out corroded wiring doing all kinds of strange things you name it. Like Linda said,this was from rain,no salt water,and I'm pretty certain it didnt get in dash. Does not matter salt or not touches the dash it all over, all though salt water is worse fresh water does just as much damage think about a flooded mattress water in every thing one thinks might be sealed. Oil seals keep thing from falling out they do not work well backwards breaks, diff,wheel bearings,engines,transmissions,window regulators,rust in places you can't see anything that can leak will. I have been through this several times it's not a pretty picture. Salt water wrecks electrical stuff as soon as the water recedes and air can get to it, it's a never ending headache take the money and run. If I want to buy back it will cost me 2500 which was more than I thought the buyback would be , I haven't made up my mind what I want to do yet. Make a counter offer. Every day they keep possession costs them money. They will have to pay for towing, storage and auction fees. If you really want to keep it, pay the buyback price or wait until you get your settlement check. Then attend the auction and bid on the unit yourself. 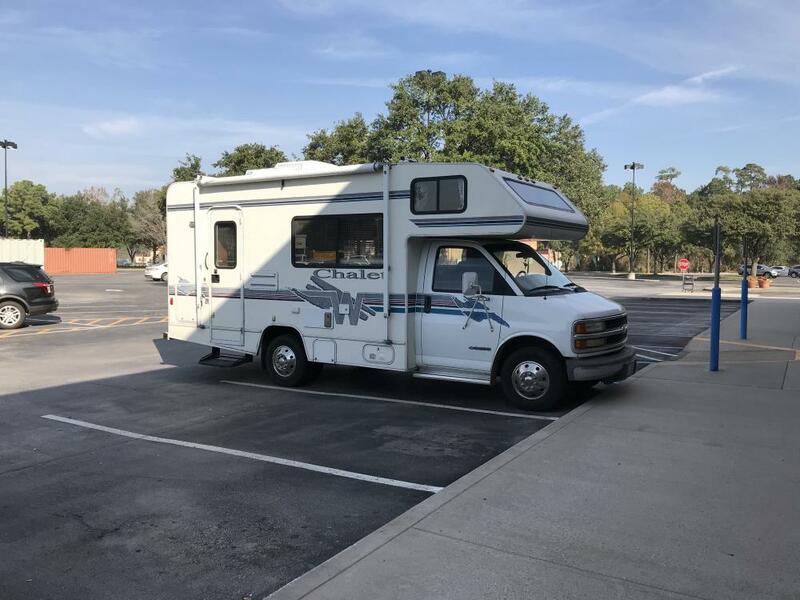 People unfamiliar with Toyota motorhomes will be hesitant to bid for it. I suspect there will be many vehicles for sale. Well they don't have possession,I do.Its still at storage lot where I am paying the rent ,so I don't really have any negotiating power. Yes you do. Once the insurance company has "totaled" your vehicle, they assume all costs for storage, towing etc. You have to sign a "release" to receive your check. Most likely you are dealing with an "independent" appraiser hired by your carrier. Their only mission is to settle claims as quickly and cheaply as they can. Notify your appraiser you intend to discontinue your storage agreement. This will give you more bargaining power. They now know storage is on "their dime". I think your mh is probably worth the buyout price. But remember, you'll now have a "salvage title" which will make it harder to sell in the future. If you like it, and your willing to take a chance, I say "pull the trigger". Take the money and run don't look back. You have a good foundation of Toy knowledge. Use it to find a new Toy house or something bigger. Right now is the cheap time to buy. i would buy it back .it's hard to kill a Toyota. I had a 1990 Toyota I bought new . when it was around a month or two old. I drove it across a flood road .not knowing the breather in the 22re sat lower than my 20r motor. sucked up water threw the breather and stalled .the truck then floated to the edge of the road and sank only about 2 inches of the roof was showing .towed it out .drained the water out of engine and muffler .took awhile to start it but never did have any problem I had was water got into rearend .but Toyota replaced both front and back rearends. they only have a one way seal. I feel your pain. But I can assure you, this isn't a total loss not by a long shot... If you opened up the unit and started drying it right away...fans dehumidifiers etc...24/7....till that sucker is bone dry...including any open or closed areas....wiring boxes...etc...open all hatches etc... you can save this no problem. You will need to pull the floor but the sub floor will be fine... Use peroxide to kill mold not bleach...you can use bleach on some things that's not a problem But to kill the dangerous mold use regular peroxide..as use it fast and strong...it won't hurt a thing...you can do a wipe down if you like. All cloth will need to be pulled and washed at once or discarded I am sure you know that already. Engine and electrical must be dry...do not tempt to start or run anything unless you are 110% sure it is dry 100% dry not even any moisture can remain...Good luck I hope this helps... If you elect not to try to save it...Please let me know I have a son in Houston I may try to buy the unit from the insurance company..I'd love to have another one...Take care hang in there and BTW I live on the river in SC I've ben flooded out twice in the past two years I am with you brother... It's a hard road but you'll make it... Take it a day at a time...No need to stress it is what it is. Generous offer from the insurance co. It will have a salvage title and if you resell it you may be liable to disclose it has been in flood water. There will be no indication of water until you pull the drain plug all of the water will be on the bottom trans,engine,brake cylinders and diff. It's probably good it did not start. I had a shop in Maryland it was under water up to around 4-5' We had cars in the lot that went missing I mean gone, every single one on the lot was declared a total including my nephews. Before the storm we had put tools boxes and other expensive things including my nephews totally rebuilt engine for his MGB on the lifts and ran them up. After all of this my nephew did everything he could to drain all of the fluids we installed the new engine and 2 months latter he sold it there were just too many things that did not work and he was never able to get rid of the smells. Granted it was a repair shop but the highwater mark was defined by a 6" of oil/grease and other debris from the flood water of unknown origin. We had to steam clean the building. I was out of town when flood happened and I could not get it home anyway if I was in town, it has been closed up since the flood with no fans on inside. Motor has been started by my daughter two days after flood when I was out of town but will not start now, no signs of water in oil or transmission fluid.Just a click when you turn key. Just got off the phone with the insurance company, they would not come off wanting 2500 for it so I'm going to let it go. I asked them about where they would send it for auction and I was told it will not be auctioned off it will go to a salvage yard for the parts to be sold and they think the parts are worth 2500 . Oh yeah they are! Wish I knew what salvage yard they're going to tow it to and how I could reacquire it because I don't think they're going to be wanting 2500 for it . You can call them they can tell you where they took it. You may have to bid o it to get it back. But they can and should give you all the details in fact you could have denied a total.by showing them it was worth more then they paid .,...thus you keep it get a check and you fix it if you want too. Just a leg up hope it helps. HEY THERE, first of all, you and all Texan's are in my prayers, sorry for your loss, MH, and otherwise. I have a past connection to Houston , I lived there in the mid to late seventies. as to your toy, I hate to think of a toy going to a bone yard. maybe someone will buy it and have the time, knowledge and resources to keep it alive and on the road. I do understand that in the scope of things, for you, other priorities, come first. GOD bless, and good luck in the future. joe from dover. Finally settled the claim today,insurance company ended up raising the settlement offer after i sent them receipt for tires,picked up check today for 10300 but I'm pretty sure they screwed up and didnt take the 500 deductible off that check,I'm sure they will be wanting me to pay that back but I'm not complaining,I'm satisfied with the 9800. I did find out what salvage yard they are supposed to tow it too,they havent picked it up yet,I will call them in a couple days and see what the process is if they are going to auction it or what. I did find out the salvage yard, but being a private bidder I couldn’t bid on it anyway And they had so many cars on their website to try and sift through to find it it would take forever. I have been searching craigslist and RV trader and all those places for another Toyota motorhome could not find one that I liked. I did not want to go with the one with another six cylinder, it was too hard to work on. And none with the four cylinders were coming up for sale around here that were worth a crud. 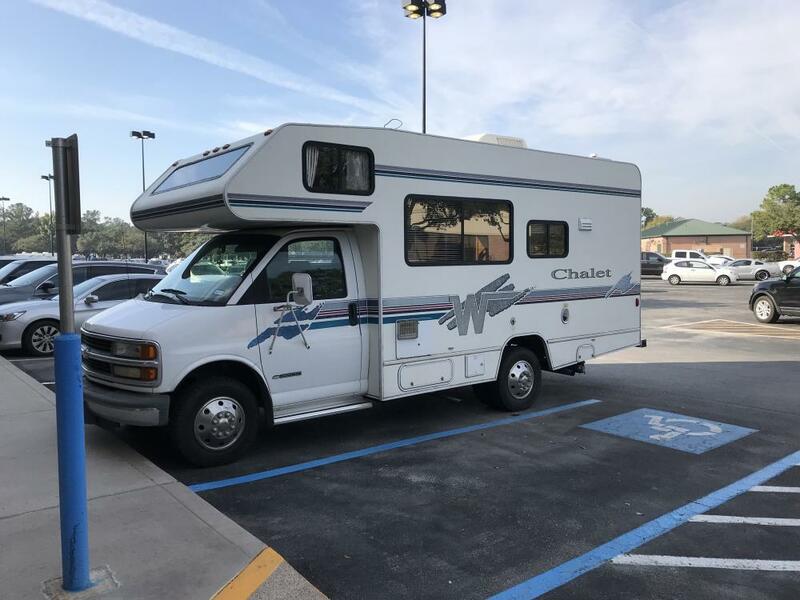 I ended up buying this Chevy motorhome a couple days ago. So far on it everything words, including built-in Onan generator. I have been seeing big #'s for salvage Toy's, one guy claimed that V6 were going for $3000 salvage. Seems too high but never know. How long is the new rig? I had a Vortec 7400 in my midi Class A 9-10 MPG at Toy speeds. So gas on a trip is more. But there is more space inside, bigger waste n water tanks, a more relaxed engine RPM AND you can have a Towd with no problem. 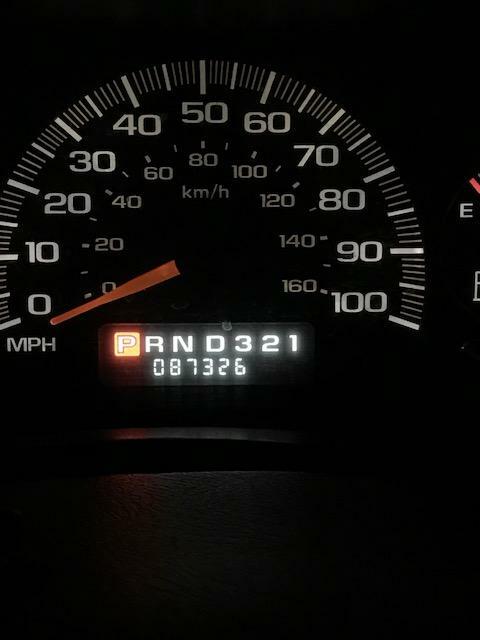 It's not that much longer then my toyota was,I havent measured it but the model # was a 22r Minnie Winnie so I'm guessing around 22'.I was so dissapointed in the mileage of my toy that I'm not gonna worry that much about it.Best I got in my toy was 11 mpg and I'm guessing this one will get around what you said,9-10.I loved the ease of the driveability of the Toyota but this one is not bad either.Drove it to physical therapy and the dentist this morning and was able to park in normal parking spaces,plus now I have power when I need it and I wont have to worry about towing my toys,generator is a lot quieter inside also,its an Onan MicroQuiet 4000.